Have a lot of questions about buying a home? We have the answers! 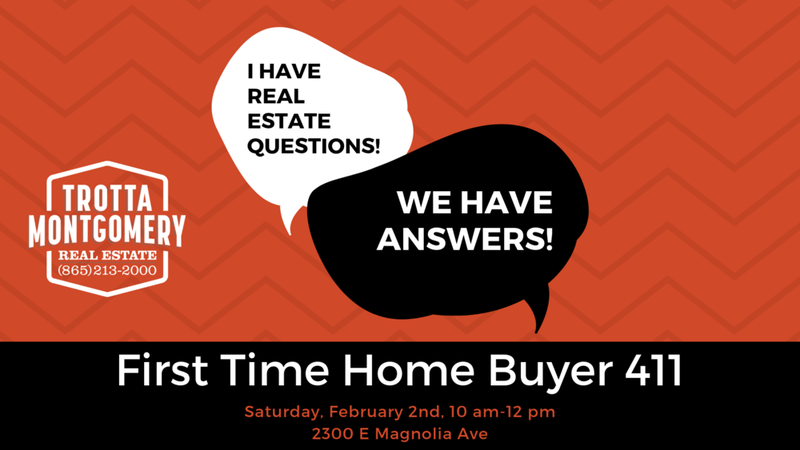 Come join us on Saturday, February 2nd to talk about the home buying process, talk to a lender or home inspector, and generally ask questions to your heart's content in a laid back atmosphere. Plus, snacks and coffee!